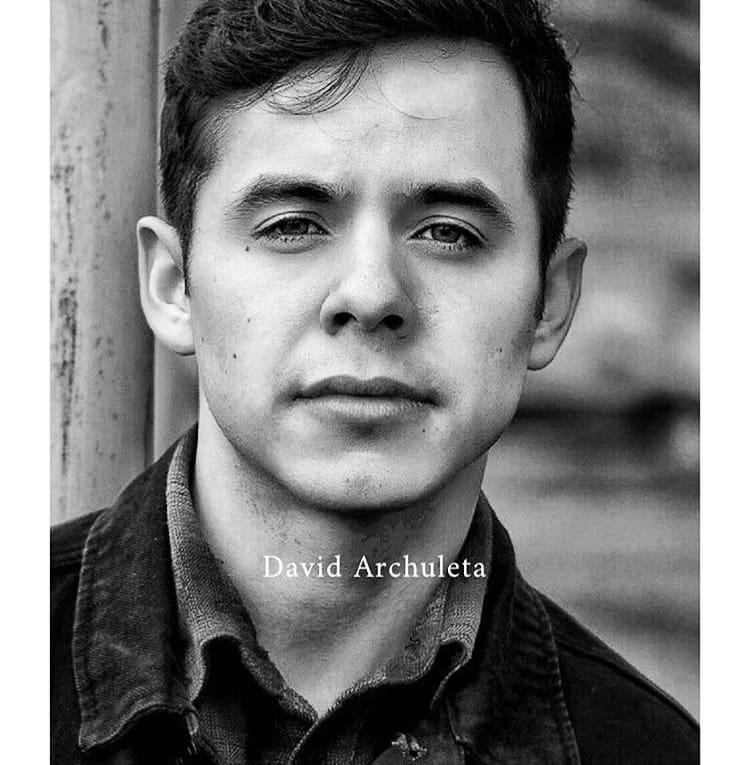 This entry was posted on Thursday, December 10, 2015 at 12:01 AM	and is filed under @DavidArchie, Appreciation, David Archuleta, fandom, music, The Voice, Uncategorized. 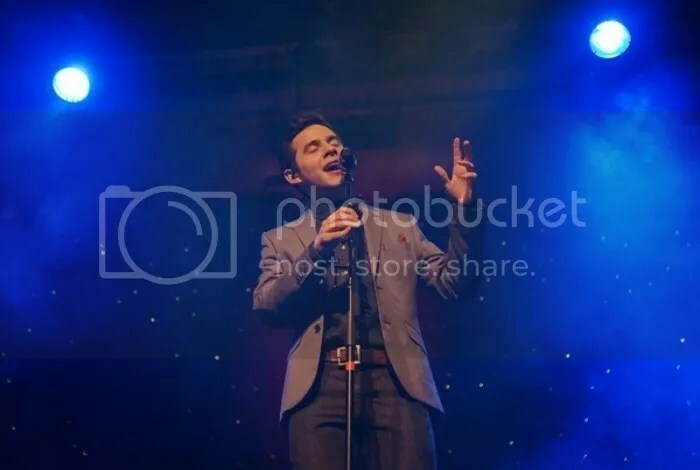 Tagged: #ASaviorIsBorn, #DA2015, @DavidArchie, Acoustic, CHRISTMAS, David Archuleta, Nathan Pacheco, Riu Riu Chiu, The Prayer, the Voice. You can follow any responses to this entry through the RSS 2.0 feed. You can leave a response, or trackback from your own site. I AM LISTENING TO RIU RIU!!!! BOTH ARE DOWNLOADED… GO TO YOUR EMAIL!!!!! Wowwwww It is a revelation!!!! GO. TO. YOUR. EMAIL. NOOOOOWWWW!!! WHERE IS EVERYONE, THE PRAYER OMG. Now I’ll never get to bed. Gorgeous. I’M BRINGING COMMENTS OVER AS I LISTEN TO HEAVEN, AND WATCH HEAVEN!!!! Oh. My. !!!!! There are no, no, no, no, no, words. Their voices together are everything I had hoped. They are like brothers from different mothers. It is like DA takes on some of Nathans vibrance and Nathan takes on some of DA’s mellow. Just, just, just, just. I don’t know how to get the video to play yet…. Dja, Loving your recap!!!! You are such an ardent supporter, nobody deserved it more. I may not post regularly but I am here every single day. Just lazy I guess. Running now to listen. I believe we can run online now lol. I got the email but i have not downloaded yet. I am nervous. Should i download it on my computer, my phone or tablet? There is a reason those two chipmunks look like cats who stole the cream. Just sayin’. Thank you for your most colorful recap describing the shows in St. George. I remember during David’s solo tour how we used to say there were two Davids, offstage, a kinda shy teen and onstage, he did a flip and sang like a mature man. How could that be?, we’d ask each other. Then a wise soul predicted that one day the two personas would eventually merge and become one. I believe the videos from St. George prove this to be true. I love that you finally met Gladys after all these years. 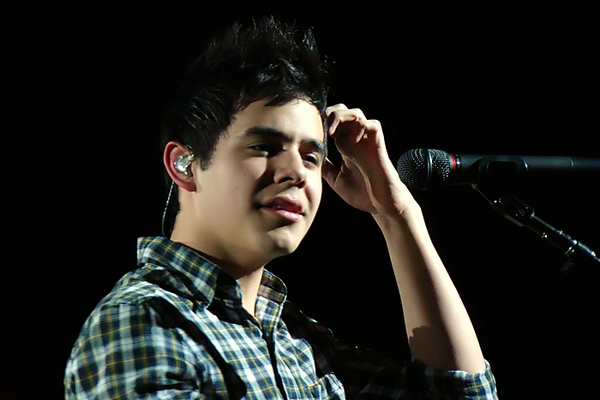 And happy for Gladys that her dream of coming to the US to see David in concert came true! WTG! Your choice of pics is outstanding, Dja, thanks to Pam Pike! 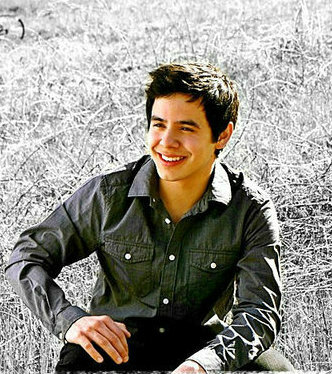 David, please come to the East Coast!!! I listened and listened, what a beauty! And then…I watched him, WOW! 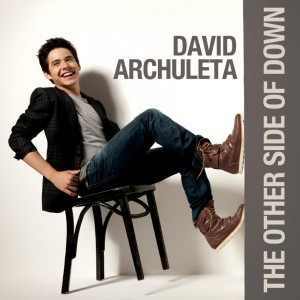 Riu Riu all David, just love it. Who needs sleep?! Now it is for real. Nathan and DA. And they are everything, together, that I had hoped. 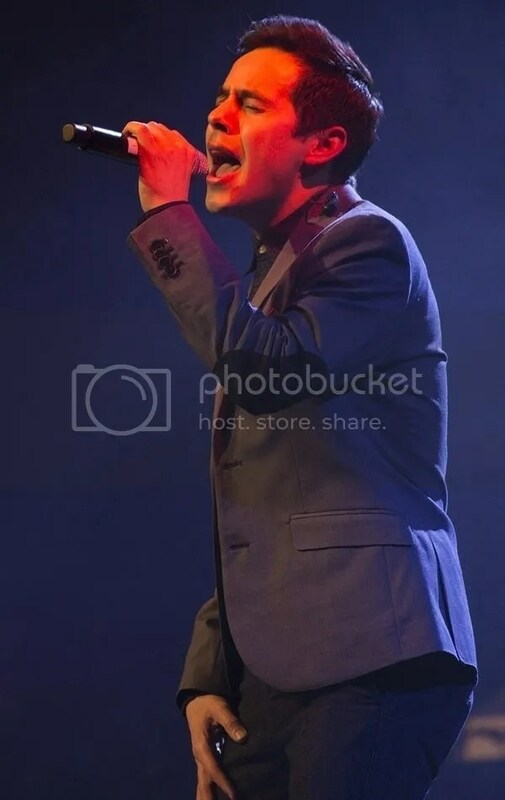 I have heard one or two others sing with Nathan. Good. Some. Some very good. But I knew that I would never be satisfied until I heard these two. And they are so natural and complement each other so well. And dear, dear Nathan. He will just NOT pull the opera card. He just sings and enjoys himself with DA. And lets DA soar. And. DA. Does. Not. Hold. Back.!!! 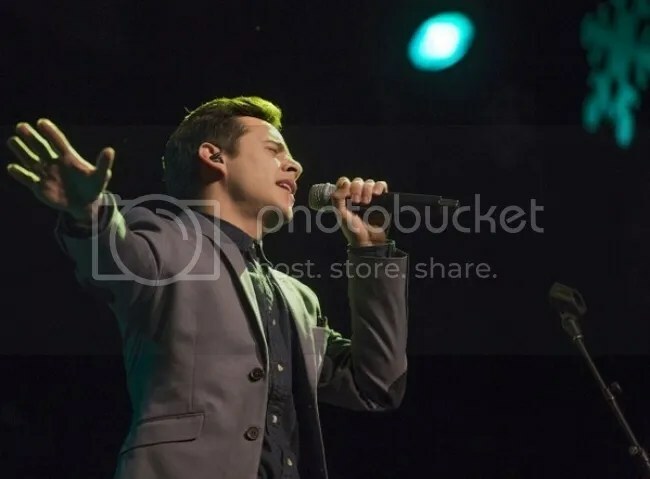 You know that DA has to trust himself professionally with Nathan for him to sing out like he does in this piece. Don’t you just want to hug them both, and take them home for some warm chocolate? I downloaded it on my computer. I can add to my phone with iTunes later. I got the Pledge Music app but had to fiddle with it to figure out how to play the music. I added the The Prayer video to the Candy Jar because it’s free. I downloaded it on my tablet. Now i need to figure out how to load it on my phone and computer as well. btw, he is killing me!!! Did anyone get the video message? I didn’t see any for download. Also watched the Prayer video. Did he forget to shave? Wow, they make one heck of a duet! My favorite parts are 1:26, 1:41, 2:09, 2:43, 3:07, (David’s parts, naturally) and of course that beautiful ending. Heh, I really should just put 0:01 to the end. Their voices blend so well and the mix of tenderness and power is gorgeous. Follow the link in your email from your computer. Then you can download it. Finally tonight as I was playing Riu Riu Chiu, he says: Who is that? He’s good!! When I explained that it was DA singing something in Spanish… well, he commented like others have here: DA is different when he sings in Spanish. ^_^ He says: well, he is coming into his own, isn’t he?! Really, there is nothing more to say. He will surprise and surpass. The suit he used to wear was not only a poor fit, it was way too small. Listened to it here, but haven’t downloaded it yet. It is superb as I knew it would, taking my breath away and loving every second! OMGosh!!! Tawna… Djafan and Abrra say that the video is just for free. As part of the 12 Days? I think so. So the $ was for the two songs and the wallpaper. I guess. No worries, I am glad to have the songs on iTunes for my listening pleasure. ^_^ The video I can download from Firefox. Its in his twitter and his IG. It’s a gift. Its free. Thanks for staying up. Sweet dreams. Quiet here but twitter is busting at the seams! 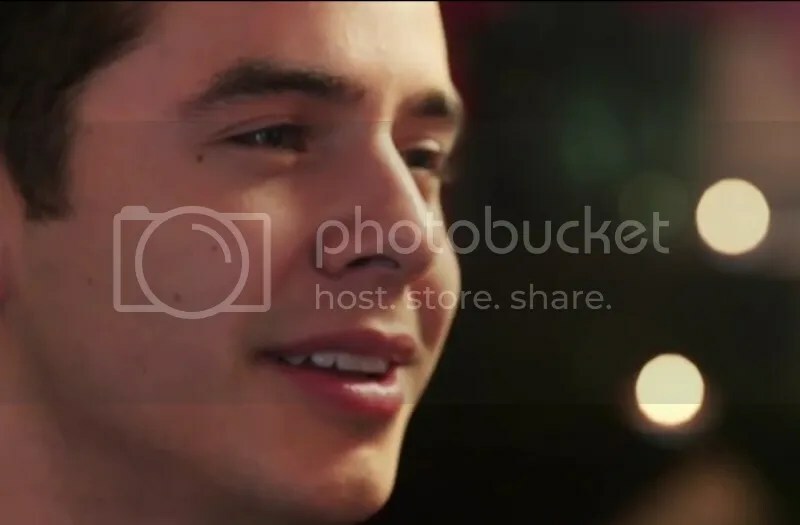 American Idol season 7 runner-up, David Archuleta and classical singer, Nathan Pacheco, record a version of “The Prayer” for the upcoming holiday season. The video is part of a Christmas series being promoted by the Mormon church, under which David served a two year mission in Chile a few years ago. The duet is gorgeous, and I totally want that house, OK? 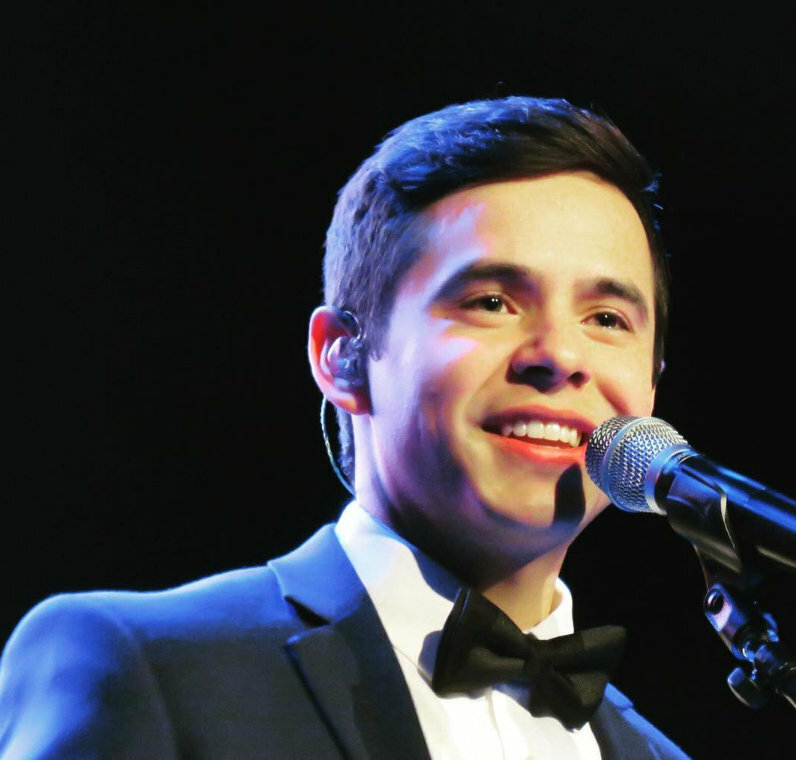 You can check out David’s upcoming holiday tour schedule right here. 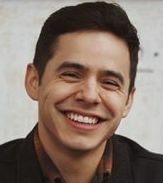 It’s the holiday season, and that means we’re in for some more heartfelt music from one of our favorite American Idol alums, David Archuleta! I love this from Nathan Pacheco’s FB page. He gives us the translation of the Italian lyrics. Now I know why they wanted to do this song: It is simply a (much more) beautiful rendition of the same message that is in “Imagine”. My two “chipmunks” are both Super-Ninjas. “Mysterious as the dark side of the moon” and yet more impossibly present than sunshine after rain. I am so grateful to Nathan for sharing these lyrics and his Christmas wish for us all. I hope you all have a wonderful Christmas and holiday season…and that no matter what you’re going through you can feel hope and know that you’ll make it through. That ‘in unison’ part in the middle? Where they just lift you up and catapult you into heaven? Beautiful words. Was checking wiki looking for the writers 🙂 Had to tweet them lol. Made the top ten holiday charts at #9!!!! Make sure you have your copy and gift! Watch the video of the awesome duet below. Note: You can buy the song on iTunes and on Pledge music. The Prayer hit a 1m views on facebook but they’re not translating to the youtube views. Not sure why. Have to figure it out. But YAY for 1 million! A thank you tweet from David! 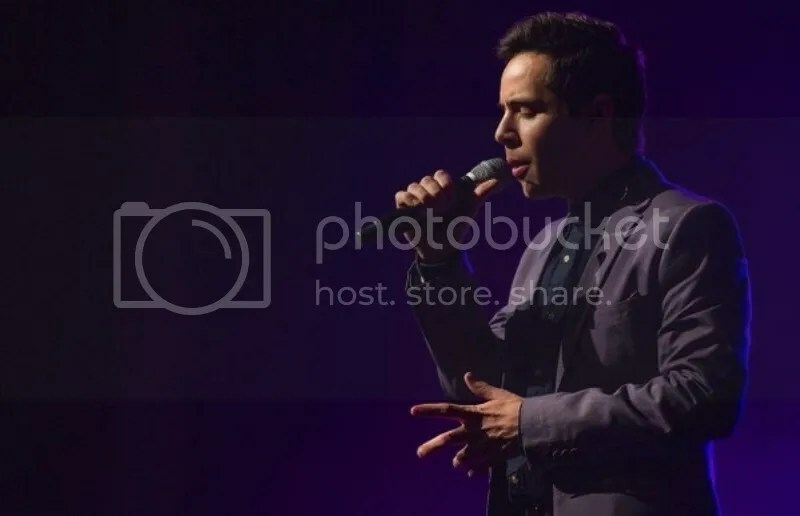 David Archuleta Drops ‘The Prayer’ With Nathan Pacheco For Christmas – Listen Now! 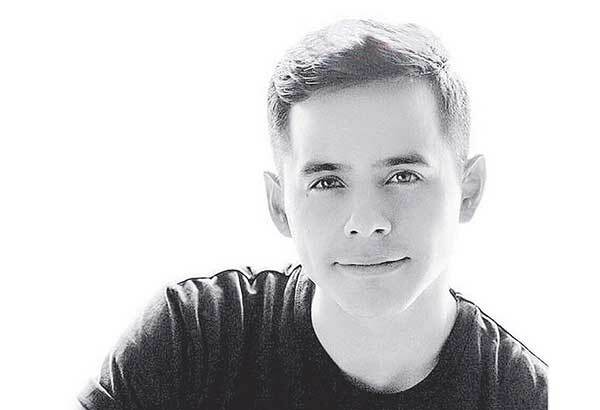 David Archuleta is back with another breathtaking song just in time for the Christmas season. The 24-year-old singer teamed up with Nathan Pacheco for “The Prayer” — you can listen to the full song below! Video mentioned has a 12 sec greeting. This might be the message we heard about. What great response there has been for The Prayer. #5 on iTunes holiday and #103 overall. 1.8m views! Soooo who’s still listening to it? a perfect voice, perfect tone that translates for Christmas music and there is a HUGE void there that he could fill. I am trying to ignore his Andy Williams comparisons lol, but I get what he’s saying. Okay, it’s my day off and I am back to wrapping presents and listening to some good music. I have only two songs on repeat. No prizes for guessing which two. lol Bluesky, all of those me tooooo! Betsy, Andy Williams? I don’t see it. No passion IMO. I played The Prayer for my mom and uncle (visiting here from Mexico) in the car last night coming home from a granddaughter Christmas concert, she’s in Glee choir, they were so much fun. My uncle knew all about Nathan Pacheco, his parents, his education and his music. He was much impressed with David, he knew about him to from AI, that he could hold his own with an opera singer. I’m really happy and I feel his happiness and surprise to the reaction. My dream is that someone invite them to perform it on TV somewhere! David tweets! I think he is really surprised at the reaction. The Prayer has become “the little song that could”. Patience has paid off big time. David and Nathan are getting so much positive music press coverage about the duet. This was worth the wait. He said he needed time to get his music to his standards, and this recording plus the acoustic bonus are certainly among his best. I wasn’t sure how he could pull off Riu Riu Chiu acoustically but it works! And I agree – of course – that a TV appearance of the two of them would bring down the rafters. They are so complementary to each other – truly different without getting in each others way. And I love that your Uncle now has more appreciation for DA. Makes me really happy. Been listening to The Prayer nonstop,I think I could sing the duet now,both parts…well ok not at the same time and just kinda sorta singing.but anyway. Sent the link to my three siblingsand they all wrote back that they loved it and it was beautiful! So excited and happy to see David is so happy, and Nathan too.♥ awesome. 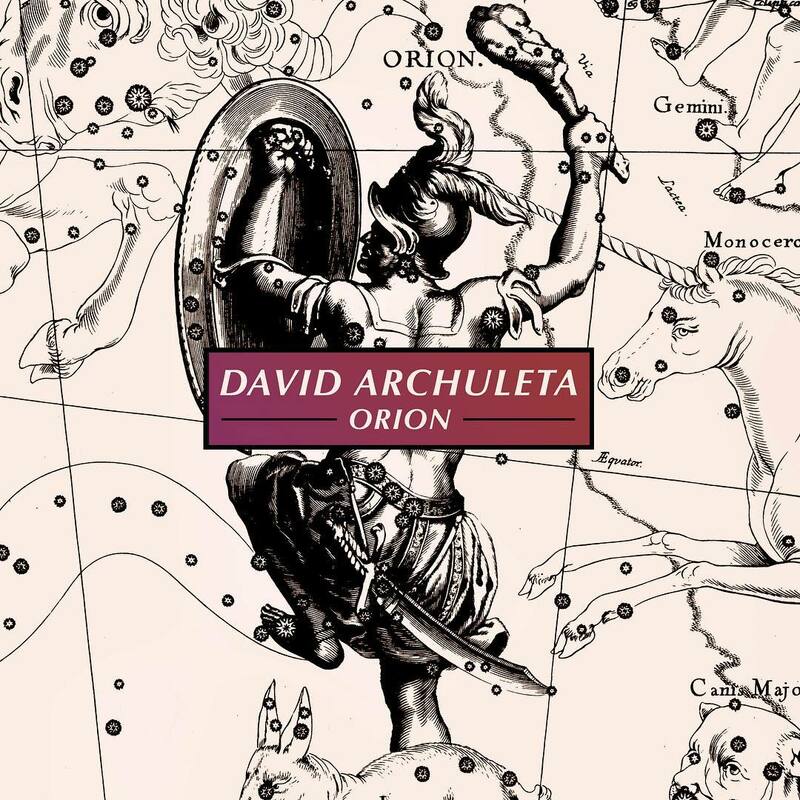 Hearing Riu Riu Chiu sung by David now ..I love the rolling R’s.and you can really tell the difference in his singing in spanish with this song,maybe because we are so familiar with the song idek, just know that he is killing me with that one. Dja,omgosh I really loved your recap♥loved the conversation with your granddaughter too. She really hit the nail on the head! I really found myself very touched that he has shared so much with us in his warmup concerts. I am really loving Riu Riu Chiu much more than The Prayer, and not just because it’s all David from start to finish. 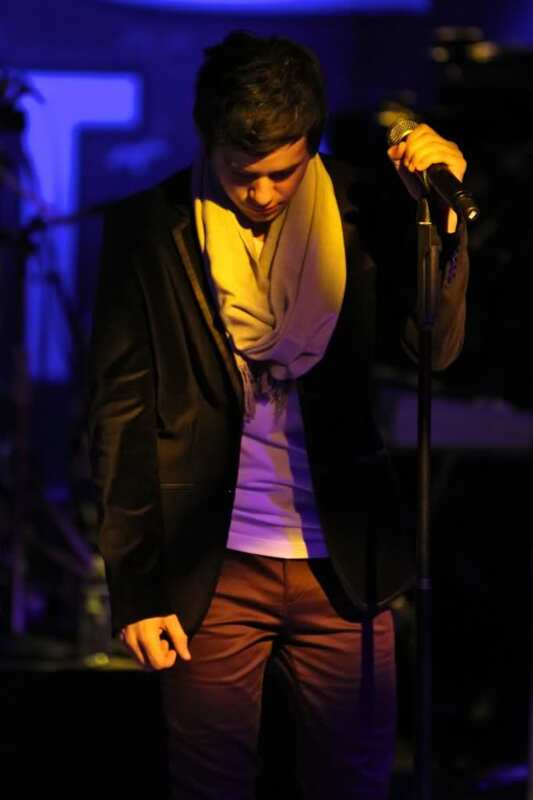 Those eh ehs, ohs and rolling Rs and that exquisite voice!!!! Even his breathing! I think this sounds more like his live performances than a studio recording. It’s like he got it down on tape in one take with no editing/comping and no fancy schmancy bells and whistles added. Maybe that’s why they called this a live track. I hope he sings this version at his Christmas concerts. And please let there be video. Yes, Fenfan.. .It really has a great live “flavor” to it. It will be wonderful for him (and us) if he can or has mastered getting more of the magic of “live” into his recordings. I really love what he has done with it! Totally agree with you about the difference in his singing in Spanish. I listened to the version from CFTH to compare and the difference is stark even to my unSpanish ears. Having “studied” the two versions, I think I have a better understanding of why he did not record a Spanish album all those years ago when we were all clamouring for one. Now when he eventually does, like he said he would, he is going to kill it. And we will all die a happier death when we listen to it on repeat. Yes I did quote myself 🙂 It applies to anything David produces, musically. To everyone going to his concerts tomorrow, HAVE FUN and take lots of photos if possible! I guess you all know that I am gelus!!! 🙂 I’ll be waiting for all the goodies to come in! David did a Make A Wish program last night. More from Make A Wish. Awww, love when David does stuff like this! He has such a big heart. 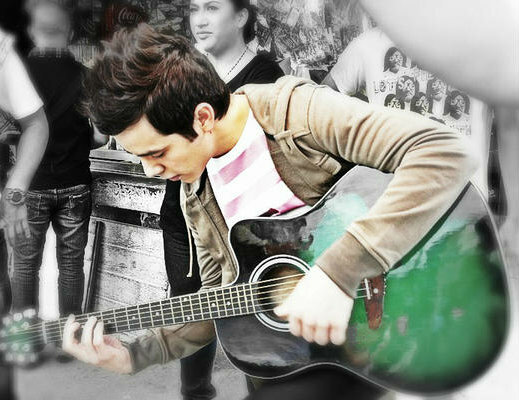 Hoping for videos from his concert this afternoon and tonight. Quick comment on the video. Ann Arbor show. I only worked at that specific store for 4-5 months, but apparently she remembered that. Also – I can’t believe it’s been 6 years. David singing with that orchestra was amazing. Check Liz’s timeline for Periscope clips!!! Some clips. I think we will have video in the morning Shelley was there. I am late to the party but am catching the periscopes. I’ve only gone through the first few but …. There’s periscope and video! He did Riu Riu acoustic! He sang Wham!!! Aye aye!! #73 Finally a journalist got the headline right! That should be the headline all over the world!!! 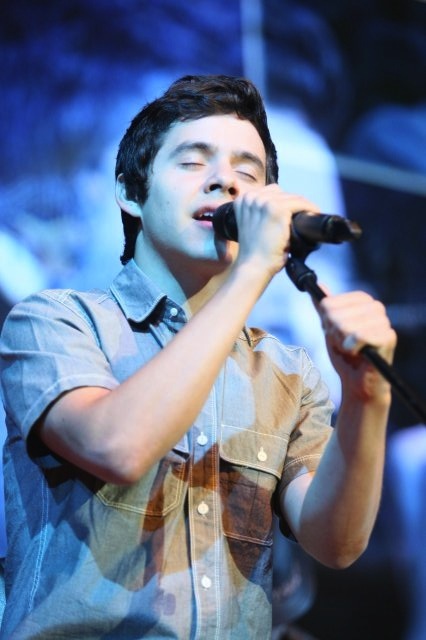 I was fast asleep while David sang. And I have to go out for lunch soon. Trying to catch up with all the videos as I eat breakfast at my computer! He looks mighty fine. Nice outfit. I thought it was brown when I saw a bit of Liz Mag’s periscope. But it seems black and grey in other pictures. OMGOMGOMG he sang I’m Dreaming of a White Christmas – I almost spit my drink at my computer when he turned on the jazz!!!! The medley is AWESOME!!!! I wish he sang all those songs separately rather than stopping halfway to get on to another one. Wow, this is so neat to have all this up so fast. I remember the old days when we waited and waited! 🙂 Got to see all the songs on Periscope thanks to LizMag. Great job! Santa has been sooo good to us! 🙂 David was superb…even singing another one of my favorites, Mary’s Boy Child!! How does he know??? And O Holy Night was the best ever! Fen, I also loved the jazzy David! He never fails us and even gets better…just magnificent!! 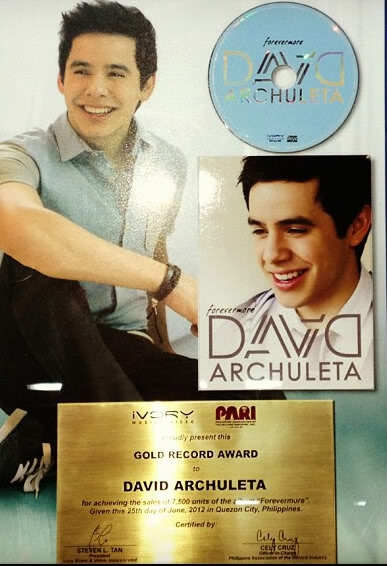 ♥♥♥♥♥♥ So happy for you David, thank you, thank you! A very eclectic list of songs. David is still full of surprises. Click See More for the full list. Gracie Schram has the duet of The Prayer on her Periscope. Clip of French song that David dedicated to the people of France in their time of need. Shelley checks in with some concert love. omg well,I think he finally did it..he just killed all his fans off,I knew the day would come. 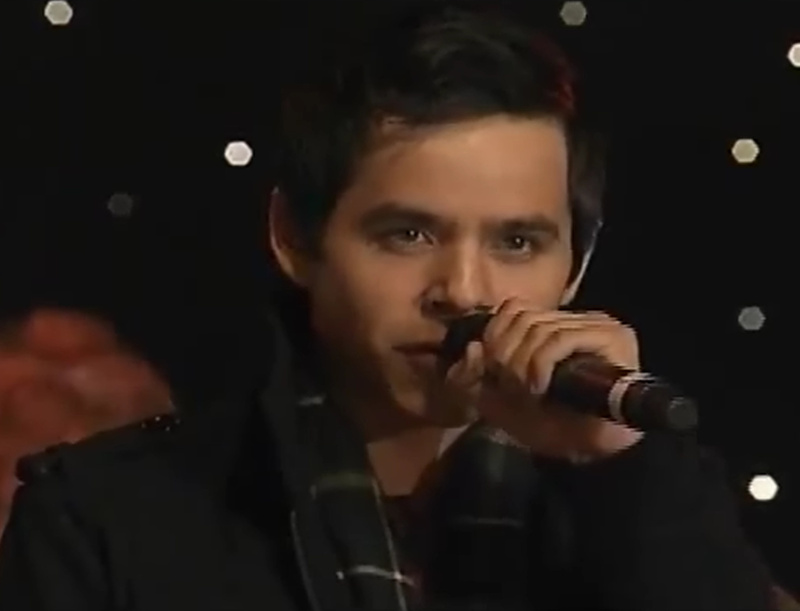 All it took was for Mr.Christmas Mr Sassy David James Kris Kringle Archuleta to set the stage on FIAH!!! Gahhhh! how did the people there survive 2 performances?? Idk how he did two shows in one day. By the way, I had a little excitement BEFORE I went to work. Nathan favorited my tweet to him. Just got back from a concert. I got to hear: Harry Belafonte, Ol’ Blue Eyes, Bing Crosby, Ricky Nelson, Jackson Five, (no, I did not hear Andy Williams)…. and that was just the first half hour. There was nothing he could not do. There was nothing he did not do. He laid it all out on the stage and was still (somehow) upright when he said Goodnight. 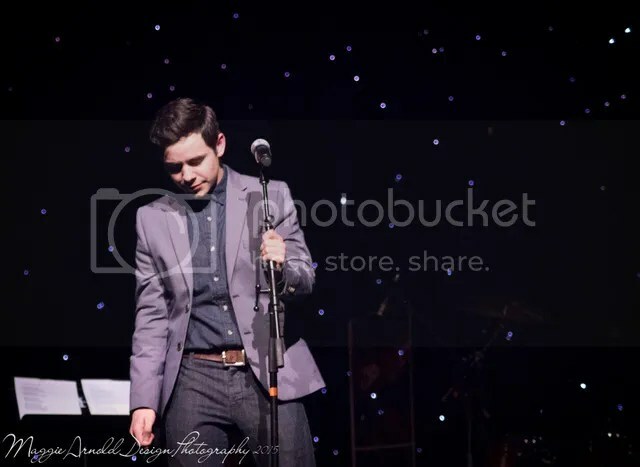 Ladies and Gentlemen: I give you David Archuleta – performer extraordinaire – singer bar none – and artist of any darn genre he cares to sing. And… I got to see him see O Holy Night. Again. The last time I saw him sing this song was just before he gave his announcement. (We know the announcement to which I refer.) Then, magnificent as he was, he was a man with a burden to share. Now he is a man with wings and a song. Freedom in every moment, movement, action and lovingly artistic, musical phrase. He does not have a style, he has an encyclopedia. I know without a doubt after tonight – he is coming your way. This appeared on Nathan Pacheco’s twitter account. Leo-Z did the arrangement for The Prayer for DA and Nathan. It says it was posted 7 hours ago. By now…. who knows? ^_^ I kinda think they all did a great job. 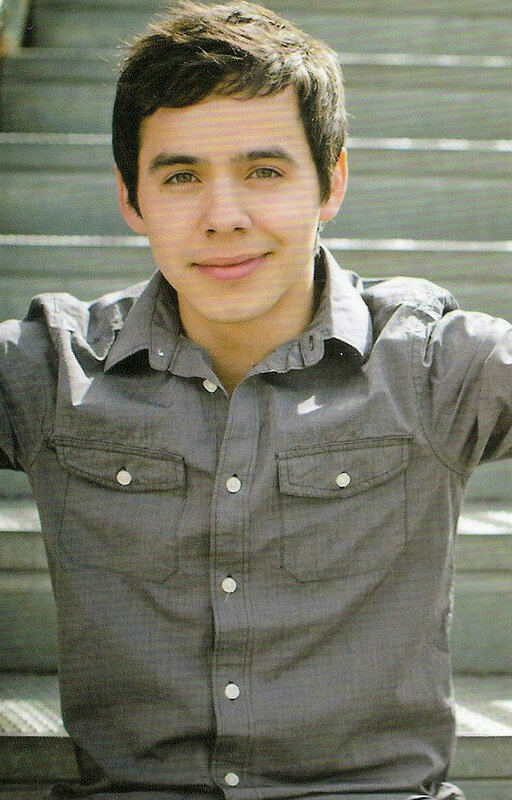 David Archuleta is a weapon of mass destruction. He wants to see us all on the floor!!!! Before I surrender I would like to thank LizMag for all the wonderful Periscopes. I think I love you LizMag! 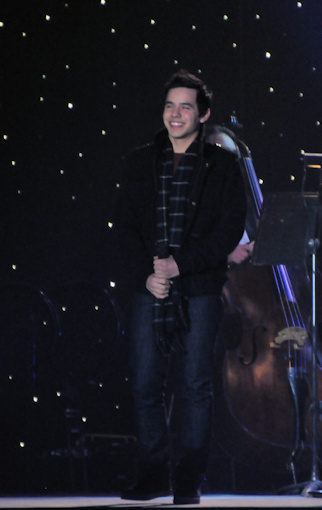 David should have a Christmas world tour every year. I don’t mind listening to Christmas music in October if he is the one singing. He can start where I am and end up in Utah on December 23 so he can be home for Christmas. I think that is fair, don’t you? And he should sing O Ven O Ven Emmanuel and all the jazzy Christmas songs ever written. Brace yourselves! Shelley has VIDEOS! I’ll keep adding to this comment as she uploads more videos. Gifts from David make great puzzles! A huge thank-you to Liz for providing the periscope of almost the whole concert. I had such fun watching it and couldn’t believe the songs David added. He always surprises me. He is the king of singing Christmas songs!! Yes, next year he needs to doing a Christmas tour all over the U.S. so that more of us can actually attend the concert. I noticed that David’s jacket has elbow patches. So I Googled jackets with elbow patches and found this. Sorry it’s rather long. “#2 Country chic has been a thing for a hundred years. There aren’t many people who actually go out on shooting parties any more, even in England. Yet leather patches persist because they have come to represent other things. They are frequently associated with schoolteachers and university professors and consequently have an air of the intellectual or eccentric. I am obsessed with Mary’s Boy Child. Perfect choice of key for him. His voice rings out clear and sparkling as crystal. And that French carol, ay carrumba. It feels so good. Thank you Liz!!!! Thank you Shelly!!!! Love the article. The real story of who attends David concerts, everyone! Bluesky #91 … yes! to everything you wrote! The first number had my jaw dropped to the floor. I leaned over to my sister (as she sat with a huge grin on her face) and questioned… ‘do you hear a little bit of reggae happening there?’ … her reply ‘YES!’. It was an amazing introduction to an incredible evening of song – and dance – that ended waaayyyy too soon! Thank you for the pictures and videos, and I can’t wait for more (not greedy, just hungry). An incredible moment at the end of the evening show…. 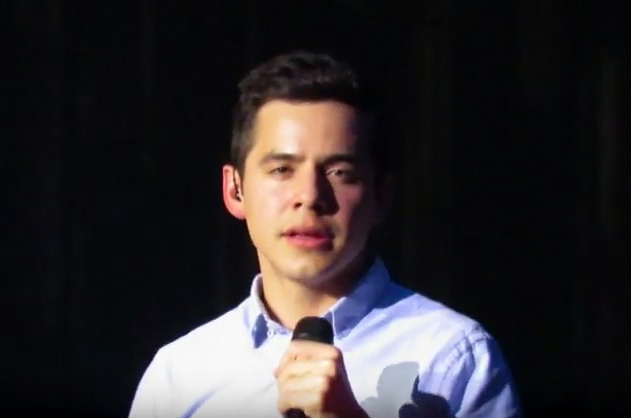 David had just finished “O Holy Night” and there was a brief nano second of silence, before the applause erupted, and a man from somewhere in the crowd of 1600+ yelled out a very convincing and heartfelt “THANK YOU!”. It was perfect! Abs, love your choice of puzzle this week. Looks just like my wallpaper! 🙂 Sure is purty!!! 91…Bluesky your synopsis is right on the money!! You sure have a way with words. He is everything and more!! And Dayzee, so thankful that there will be more! I too give thanks for the beautiful puzzle. 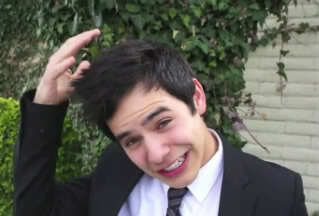 Also must mention I love David’s new habit of brushing back his hair with his hand. Who ever thought? Was at the Saturday matinee in Layton. 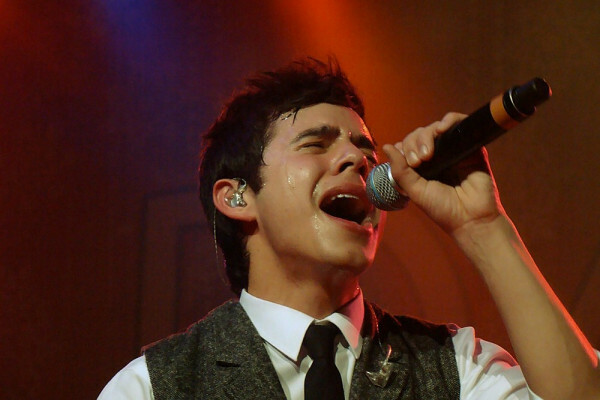 Never have seen him sing so intently. It was like he had to perform 110% to make up for the time he was sick. How he could do two shows back to back on the same day as well as the Make a Wish show the night before is amazing to me. Cute pic with Nathan Pachecho..David’s grin. To me he looks like the cat who ate the canary–he is so tickled with the opportunity. I’m so proud of him. I hope he has a good Christmas. More videos added to the Candy Jar and to my comment #98. Abs, I have never been away. Have followed quietly. Too many health issues keep me from feeling chatty. 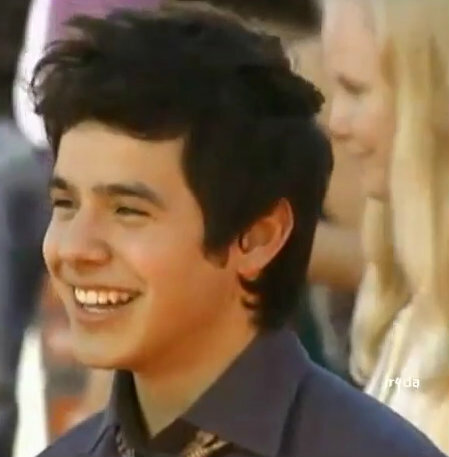 But I am so happy with David’s performance that I had to spill or burst. Information for others, beloirti is Bit, Betty. My password got mixed up somehow and I don’t even know what it should be now. So it’s a wonder that it let me in. Saw Dayzee at Layton high. So glad she spoke to me cause I had a whole different face in my mind. Saw Tawna way back at the Layton “sick” program. Couldn’t find Dayzee–guess because I had the wrong face in my head. I’m sorry Dayzee. You are such a neat lady how could I forget. It was a huge lift to my heart to be there and experience David’s program. I feel a bit selfish sometimes cause no matter how much he gives and believe me, Saturday he held nothing back…we always want more….we never want it to end…even after 2 hours of pouring his heart out. He has got to love doing it to do it. So how do we thank him? Words do not come. Only way I know is to buy his records and attend his concerts. Ideas? What am I missing? I’ve just really enjoyed watching these videos again. Sunday evening quiet time. Does anyone else find it so interesting to see how much they have improved in quality over the last few years?? And that slide show from Maggie?! Oh my!!! Abs, thanks for the mp3’s. I’ve downloaded them and tomorrow will burn a couple cds just in case lol. I can’t stop listening to/watching the video of What Child is This. He just went somewhere else. sure which video, maybe his It’s not Goodbye one. ANYWAY, the comment had just been left that day or the day before. David to please come back the next night because his wife was such a fan and they wanted to meet him lol. Crazy. Pretty sure he isn’t perusing old vlog comment sections to meet up with stranger fans lol. I was updating the Candy Jar constantly last night, so check back in there and see if you have all you want. Feliz Navidad is missing. Maybe she didn’t get that one on film. All the videos are up in Unplugged. Layton concert is playing on a loop. I’ll check my dl’s to make sure I have everything. I actually have the day off today and plan to relax, watch and listen. See David at the very top on the left of this article? Nobody is going to tell that guy to go get his mother if he wants a Costco sample. I think I’m loosing my mind! I could’ve sworn I posted my comment and it’s gone! Dang it!!! It’s great seeing fans jump into the conversation. I thought I was blown away in St George but dog gone who is this guy! Last Christmas I love, What Child is This new heights. Those better than Mariah runs. And all that jazziness? Holy Cow!!! The prayer remains at #3 last time I checked. Hoping it gets the attention of some tv person and gets televised nation wide! 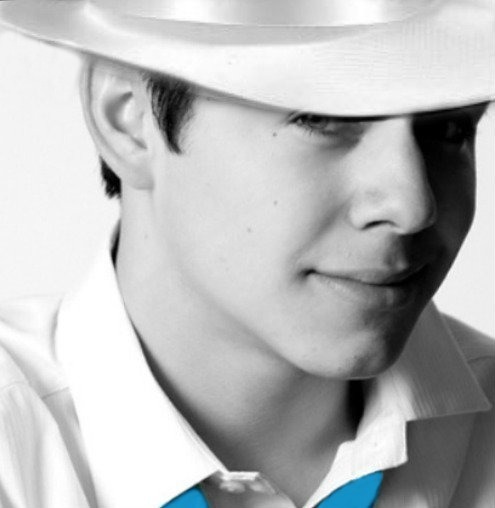 Djafan….I wish there were a vid of him doing White Christmas for the evening concert. He is good here, but I think his confidence and sass got somehow doubled (if that were even possible!) by nighttime. I couldn’t quit laughing with delight the whole way through. And his band backed him up with the DOO, DOOOs …. they were all so “tongue-in-cheek… basically “cheeky” about it that they had us in the palm of their hands. It. was. super. No words. I keep thinking of the scene in Vegetales (yes, I did watch Vegetales with my kids!! ^_^) where Bob the Tomato has a question for Larry the Cucumber. He asks: Did you like the show? Bluesky! Oh please let someone have video!!!!! I need to see double sass! 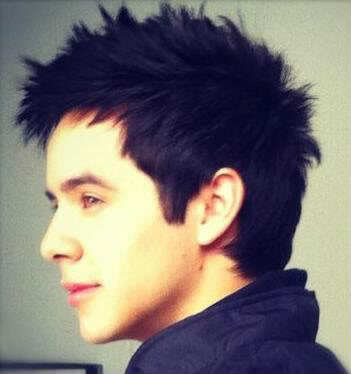 Been watching The Voice and those singers are so lame compared to David! 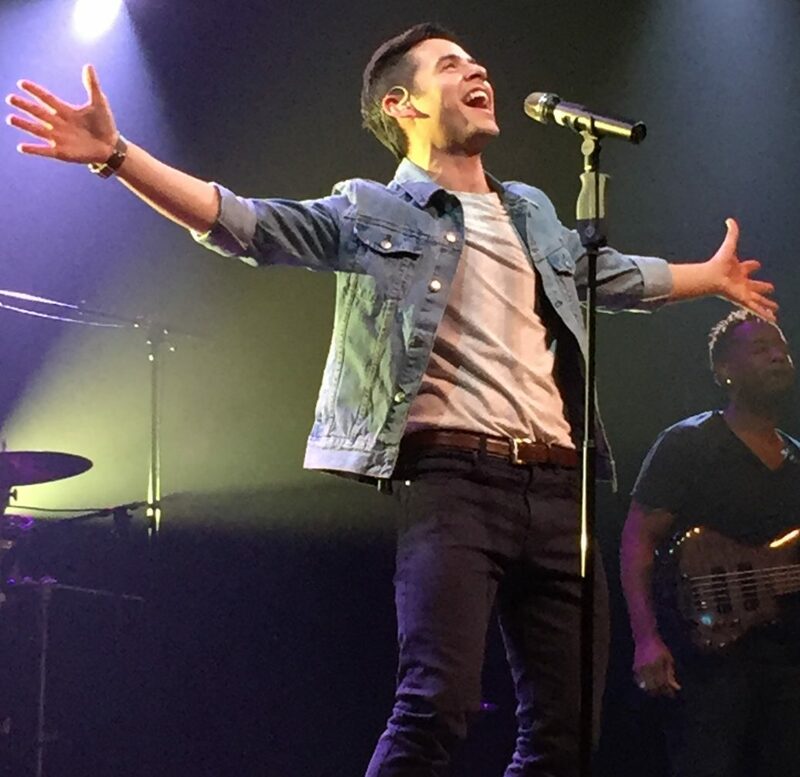 After hearing him over the week end belt out those notes….WOW!!! He needs to have his own Christmas Special that’s for sure!!!! Jans… one of these years someone will catch on to the fact that David would bring viewers and there will be a Christmas special! Thanks again for all the new candy, Abs! Jans, I like Jordan, but he’s no David IMO. Remember Climb Every Mountain? And another thing is the humility seems to have abandoned him, complete turn off for me.